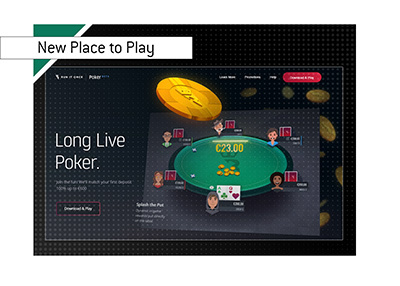 Cardrunners burst onto the scene a few years ago and quickly established themselves as the premier online poker instructional site. Their success has inspired a great deal of competition in the niche, but Cardrunners.com still stands above the pack due to their incredible roster of talent. 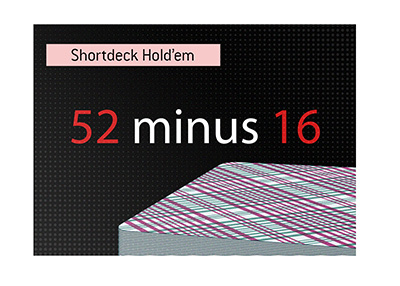 More than 9,000 poker players are currently utilizing the Cardrunners.com service. Some of the best young poker talent in the world are currently members of "Team Cardrunners". These names include: Taylor "Green Plastic" Caby, Brian "sbrugby" Townsend, Brian "Stinger885" Hastings, Cole "cts" South and Eric "p3achy_keen" Liu Full Tilt Poker recognized the impact that Cardrunners.com was having on the online poker world and inked a deal with the site earlier in the year. All members of Team Cardrunners became "red" Full Tilt pros as part of the deal. Cardrunner's content isn't just provided by members of "Team Cardrunners". They also have a large number of "guest" instructors that include some of the most recognizable names in the online poker world. Cardrunners has an embarrassing riches of talent under contract to their site. Cardrunners does a terrific job of providing their users with plenty of fresh new video content. There is always at least one new video released by the company every day that is available to members of the site - some days there are two. As of right now, there are currently 971 videos available to members of the site. Not ones to rest on their laurels, Cardrunners.com improved an already-successful business by hiring Lee Jones as their COO. Yes, that Lee Jones. Lee was brought on to improve the overall product and user experience. From what I've heard, he's done a great job. 1. The 24 Hour Day Pass, which is available for $17.99. If you are unsure about whether or not you want to commit for the long-term, then the day pass is available. This will allow you to access up to 50 videos and browse the forums. If you end up joining the site within 7 days of buying a "Day Pass", then Cardrunners will deduct $17.99 from your membership price. 2. Gold Membership. This provides you with unlimited access to the instructional videos. You also receive unfettered access to the forums, blogs and online seminars. With this option, there is a $99.99 sign-up fee and the monthly membership fee costs $27.99. Cardrunners.com IS compatible for people who use a Mac. The videos are streamed in WMV and Flash formats. I've heard nothing but good things about Cardrunners.com. 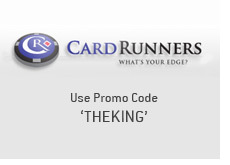 If you are looking to test the site out, make sure to enter the promo code of THEKING while signing up.